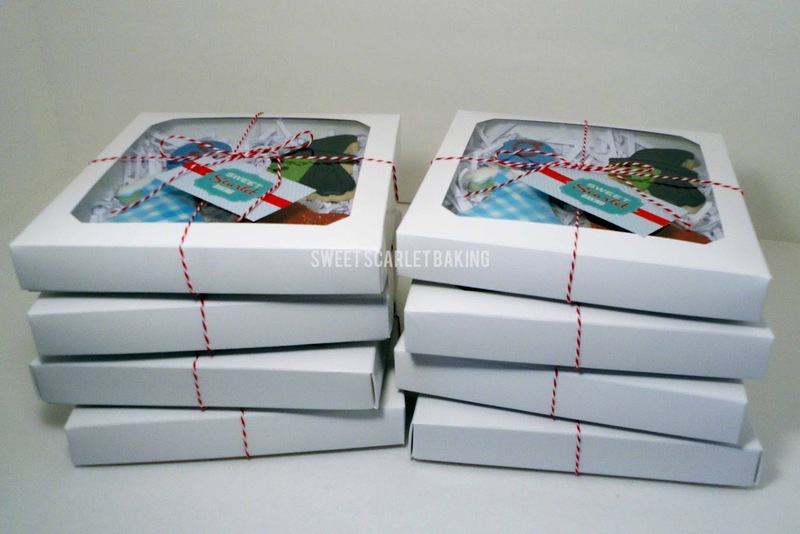 Sweet Scarlet Baking: I'll Get You My Pretty! These Wizard of Oz decorated sugar cookies are so fun! What a great party theme! 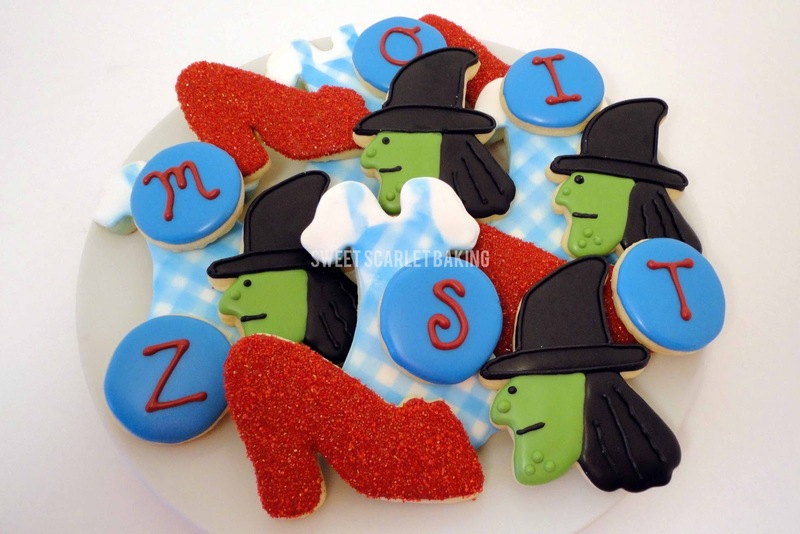 My customer requested Wizard of Oz cookies for her daughter's birthday party. 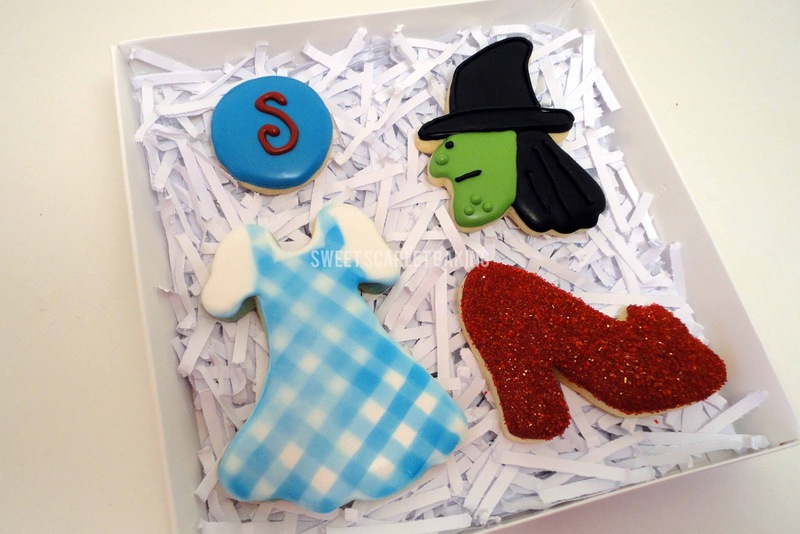 So, I designed this assortment for the party guests, including Dorothy's gingham dress, ruby slippers and the Wicked Witch of the West. 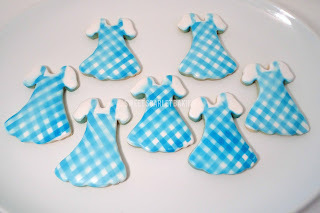 I created this darling gingham dress by covering the entire cookie with white icing. Then I followed this tutorial and sprayed the cookie in an alternating stripe pattern with blue lustre spray. 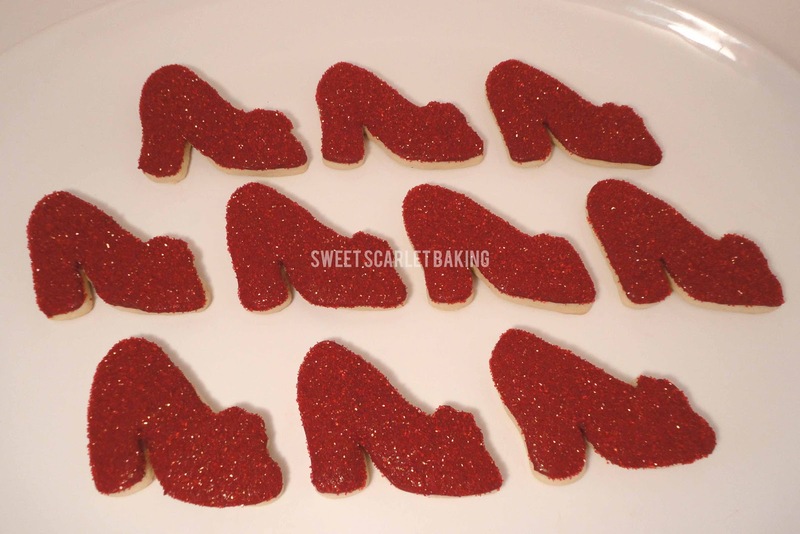 The ruby slippers received a thick coating of red sanding sugar. 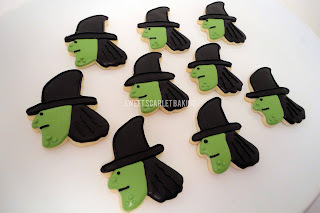 This simple witch looks gruesome with her warts. 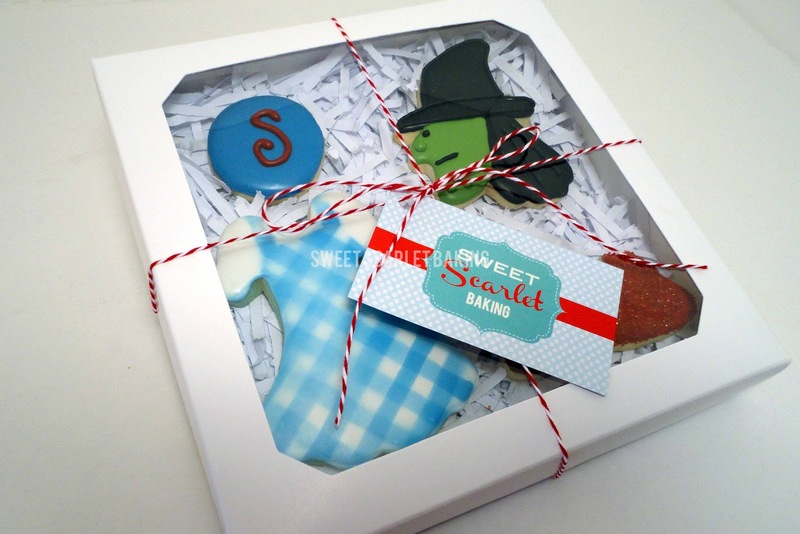 Each party guest received her own gift box with a personalized monogram cookie bite. What a special party for a special little girl! Happy Birthday, Sophia!